Complete set includes: 2 headrest covers, console and console lid covers. 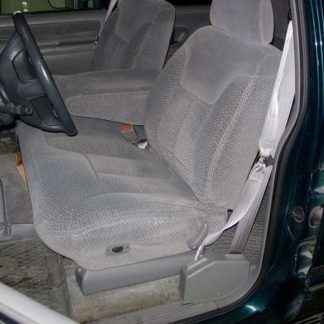 60% Driver seat bottom, 40% passenger bottom, equal sized bucket backrests, adjustable headrests, and opening console with flip up note pad on the console lid. Complete set includes: 2 headrest covers, 2 armrest covers, sorry no lid. 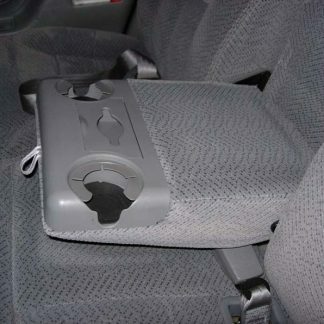 Complete set includes: 2 headrest covers, and armrest/console cover. 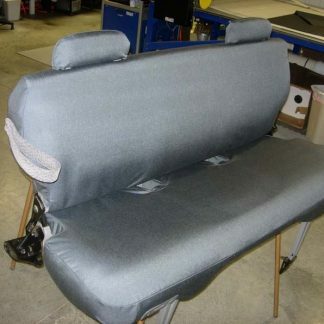 Complete set includes: 2 headrest covers and armrest/console cover, and cover for the carpted panels behind the backrests. 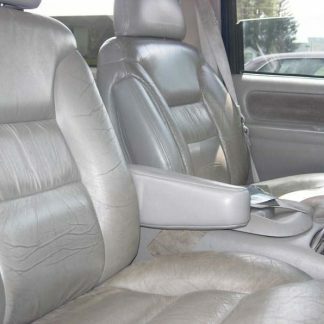 60% Drivers side, 40% Passenger, adjustable headrests, folding center armrest/console with two beverage holders on top. 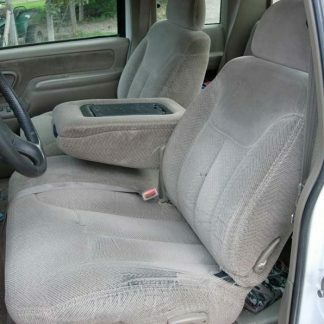 Complete set includes: Two piece Top and Bottom and 2 headrests. Solid bench tips forward, adjustable headrests. Fits: Chevy Tahoe 3rd Row.